In this past year, I traveled to Chinatowns in eight countries around the world on a global investigation of the diaspora and home. As a Wellesley College Knafel Fellow, I planned the entire trip myself and lived across four continents in Peru, Cuba, South Africa, Vietnam, Singapore, Malaysia, Australia, and China. In each country, I learned the unique histories of Chinese migration and the eventual formation of Chinatowns. I chose them based on their longstanding history of migration – namely the hundreds of thousands of coolie laborers who arrived by boat in the 1800's – and out of personal interest. Chinatowns were often starting points that I deviated from to follow leads on the country's history and present-day immigrant communities. From meeting Chinese Cuban grandmothers studying Mandarin at 70 years old to tracing my family roots in China, I documented stories of migration, resilience, and the changing nature of race and identity. The following are five themes, reflections, and lessons learned. I left America when Barack Obama was still president. I watched Donald Trump take office from my living room in Havana, and continued the rest of my year discussing his impact with communities abroad. I first heard about the Ku Klux Klan rallies in Charlottesville, Virginia last August. It was during this time in Sydney that I first learned about the Aboriginal Black Power Movement. Australia's legacy of enslavement was directed at the Indigenous and Pacific Islander populations in the 19th century. Aboriginal Black Power Movement in the 1960's drew inspiration from the Civil Rights Movement and Black Power in the U.S. 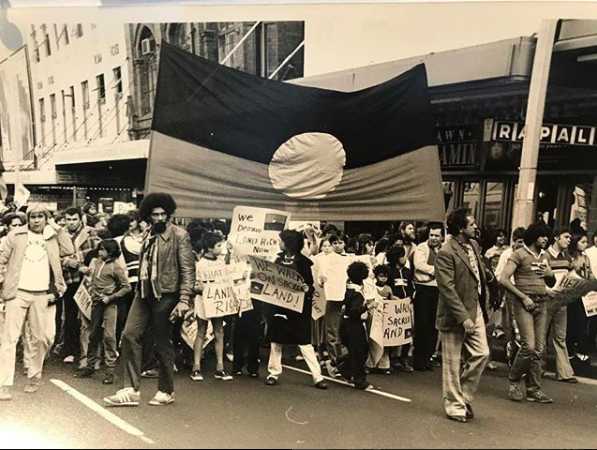 It was decades of movement building centered on the self-determination of Aboriginal people and resulted in victories such as the founding of an Aboriginal Legal Clinic, Aboriginal Medical Clinic and education center for the community. Aboriginal and Torres Strait Islander people have been and continue to organize around deaths in police custody, gentrification, Land Rights, and reparations for systemic injustices. The White Australia policies, a series of acts passed to keep Australia White and British in the 20th century, mirrored the U.S. anti-immigration ones a few decades before that, such as the Chinese Exclusion Act of 1882. Today, both governments continue such policies in different forms, such as in the atrocities on detention centers on Manus Island and the current refusal of the U.S. government to pass a clean Dream Act. I learned that with these parallels, Western empires influence each other directly when passing systemically oppressive policies. Yet, the resistance and movement that builds before, during, and after, is just as strong. Learning about Aboriginal Black Power and parallels between communities of strong grassroots organizing from Redfern in Sydney to Harlem in New York, helped me realize the global resistance and influence that people have on each other, whether or not mainstream media documents it. From the intersections of the Black Lives Matter Movement in Australia to the national Indigenous-led climate justice movements, the current momentum in both countries are happening full force. As I lived with the global Chinese diaspora, I saw both the working-class stories of immigrants moving to new countries and also racist rhetoric from the same people. In my reflections about the role of Asian Americans in the Black Lives Matter movement, I understood more how where Chinese people fall on the color line is ambiguous and entirely socially constructed. Chinese friends have asked me, "Are we Brown?" and others have written about how there is no "Chinese" side of justice even though it may seem like we get to choose. In my travels, I saw how Chinese people could truly fall as "oppressor" or "oppressed" depending on the country, historical context, and their political alignment today. This was most clear when I compared my time in Cuba to being in South Africa. Today Havana's Chinatown is a predominantly Black neighborhood where multiracial elderly Chinese Cubans, including many Afro-Chinese descendants, frequent hundred-year-old Chinese associations. Johannesburg, on the other hand, holds a greater racially charged and historically segregated history. The Chinese South African population there was largely monoracial. In part because of apartheid, those who have been in South Africa for several generations remained within the Chinese community. As I explored the two Chinatowns in Johannesburg, I heard a lot more anti-Black sentiments. I saw how some Chinese South Africans internalized ways of thinking that were the same ones required to segregate people historically. The history of apartheid ingrained ideas of striving towards whiteness as one of simultaneously towards greater freedom. Seeing this inherently racist thinking and the stark differences lived across two countries made it clearer for me how race is truly a social construct. Like in America, Chinese people, especially those who are monoracial, can align themselves where they choose to racially. It was unsettling for me to see how this applies globally and I looked for, but did not find, the same mobilization that exists in the U.S. with movements like Asians4BlackLives. Meeting with Chinese Peruvian youth to share about New York's Chinatown. Lima, Perú. Photo by Jorge Augusto Chang. As someone rooted in home and core friendships, I was anxious about whether I would find this home. But I realized just as how I am in New York's Chinatown majority of my days back in the city, immediately going to a Chinatown in a new country helped me situate and find a sense of belonging. In Lima, it was hectic in my first days trying to learn the currency, public transportation, and safety traveling solo gendered as woman. When I finally arrived in Chinatown, the roast duck hanging from restaurant windows, pastries sold in storefronts, and familiar childhood snacks in Chinese supermarkets reminded me of home and helped me remember why I chose to go there. Similarly, when I went to Guangzhou, a friend from Ghana now in China shared the same sentiment. When he first arrived, his friend brought him to Xiaobei, an area in the center of the city also known as Little Africa. There, residents who had migrated years ago built the thriving neighborhood and businesses. His friend showed him a potential community he could turn to. As ethnic enclaves globally are changing, their sheer existences have still helped many find home. Yet, I also grew close to others in the diaspora because we shared a wanting to understand home beyond a physical place. I befriended Chinese Peruvian youth in Lima who so curiously shared and exchanged ideas of what it means to grow up with generations of lineage in a country. For them, being Chinese and Peruvian needed a greater term that embodied the complexities of multiracial identity. They called themselves tusán, stemming from tǔ shēng 土生 in Mandarin, or "local-born." Together, we marveled at how Chinese food is Peruvianized the same way it's Americanized in the States, and the growing movement of tusán identity. With them, I learned to find home in shared stories, laughter, and the first bite of food at a Chinese restaurant. I reminded myself to trust the process and that these moments of connection will happen serendipitously. It was not easy. Back home, I had a fierce community of queer and trans Asian Americans to turn to while navigating the tumult that is America. This community was my fortress. In this year, I learned that I needed to root myself where I was in order to survive and continue the journey instead of always trying to connect with people virtually back home. I was not openly queer for majority of the year and almost everyone gendered me as woman. There was one point where it seemed like straight and cis-genderness was the global norm. It was overwhelming. In certain countries, the street harassment was rampant especially because I was racialized and gendered as single, young, Asian, woman. Cis-men would be the first to catcall, aggressively initiate conversations, or mansplain my project topic to me. When I was conducting my family roots search, I finally found one of the genealogical books for my family's last name only to realize that for generations, only the names of sons were recorded. Men did not treat me with as much respect as they would have had I been born a boy and carried the family last name. Coming from a lineage of fierce women and a women's college where the students of color taught me how to hold my ground, there were still moments of breakdowns because I felt alone through my very existence and way of being. Yet, in the midst of digging deep to find the strength within myself, I was also able to find community. In Peru, I met a queer friend who told me about the gender neutral Spanish words they used in a colonized tongue. Words like todxs and amigxs became part of our shared Whatsapp messages. In Vietnam, I reached out to Hanoi Queer on Facebook, a group that held gatherings for the queer community, and attended their events. In China, I saw the traditional village culture of straight marriages for women to raise families and sacrifice to run households. I thought a lot about my queer ancestors and what they must have lived through and survived. I realized and trusted that there is a queerness centuries deep before colonization that may not be apparent at the surface, but are very much present through the work and beings of people today. Having built with such a strong community of Asian American organizers over these years, I felt I had a clear idea and definition of what it meant to be an activist. Yet from my travels, my understanding of activism expanded and now feels more encompassing. In Cuba, the Chinese community largely fled after the Revolution in 1959, but the ones who stayed either believed in the new government or did not have the means to leave. I met the abuelos who lived through this history and still run the Chinese associations to preserve Chinatown despite its lack of many Chinese institutions. I attended classes where the students were over 70 years old and learning Mandarin for the first time to connect with their heritage. In China, I went back to the four villages each of my grandparents are from. I got to know the grandmothers who used to farm in the rice paddies alongside my grandmother. These women stayed after the Cultural Revolution, have lived to their healthy age, and survived Chinese patriarchy and the devaluing of women's labor without ever using the word "activist." In Kuala Lumpur, Malaysia, I met folks who organized truly out of necessity without any sources of funding. They shared stories of how Chinese Malaysians also resist urban displacement in Chinatown to preserve the community. The parallels between their stories with the resistance against gentrification of New York, San Francisco, and Boston's Chinatowns astounded me. As I return to life in New York City, this resistance and resilience in everyday actions are ones I will remember and carry when I think about how it is we can build movements with people who do not share the same language of political analyses or protest in the traditional sense. Throughout this journey, it also gave me hope to think about how, with all of the elderly Chinese folks dancing in the parks, playing chess and cards across the diaspora at any given hour, there are over a thousand gatherings happening. That thought in itself is enough to keep me going.